Fireworks boom above the O.co Coliseum after an Oakland A’s baseball game. 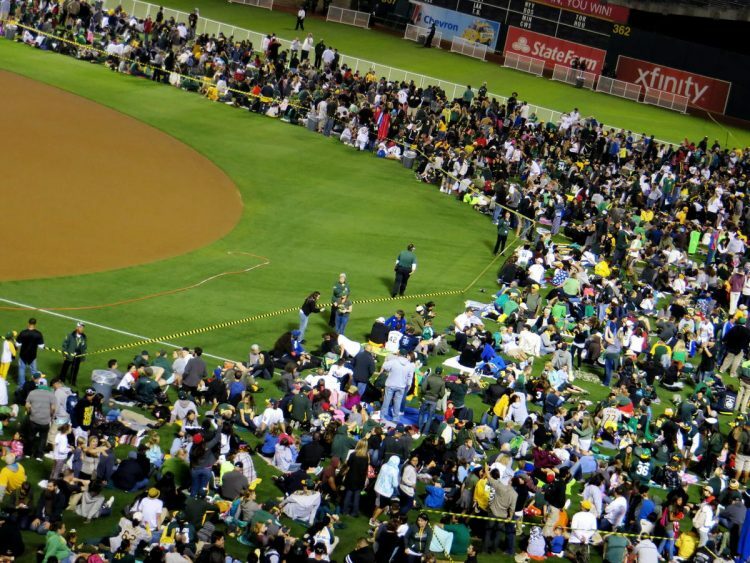 On Friday, August 1, 2014, the Oakland Athletics baseball team hosted the Kansas City Royals. Considering the A’s are doing well this season, the Coliseum is often quite crowded. However, the stadium was bursting at the seams this evening; with kids of all ages awaiting the post game fireworks extravaganza. Lucky me; all those extra fans made my game-time photographs extra exciting. First, the Oakland Athletics lost to the Kansas City Royals. The theme was “Superheroes;” though, I can’t say the display made me think of Batman, Superman or anyone else. 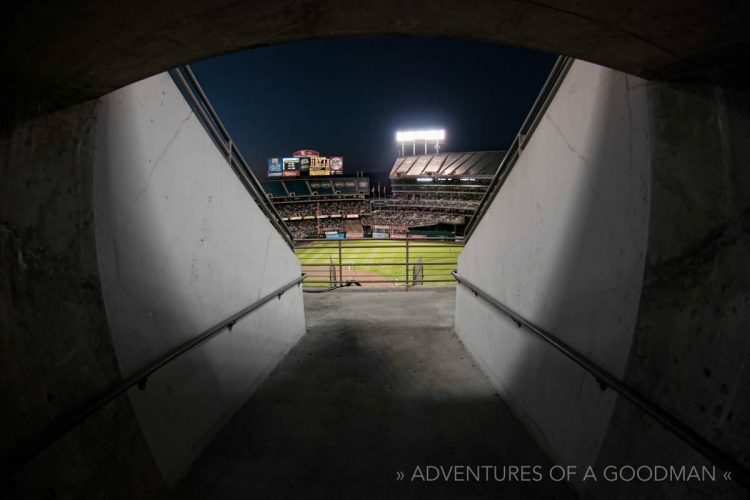 Perhaps the most amazing part of the evening was that A’s security let me into the O.Co Colosseum with my tripod. Thank goodness; because every firework photograph you see is a 10 second exposure. I guess these fireworks were supposed to make me think of a superhero flying? Fans storm the field after the baseball game. A dense fog of smoke covered the baseball stadium after fireworks night.